To know me is to know that I have something in common with Bet Lynch and Kat Moon - a love of leopard print. Stick leopard print on anything and I'll want it from clothes to beauty products. When Carmex got in touch with the leopard print edition I was sold. 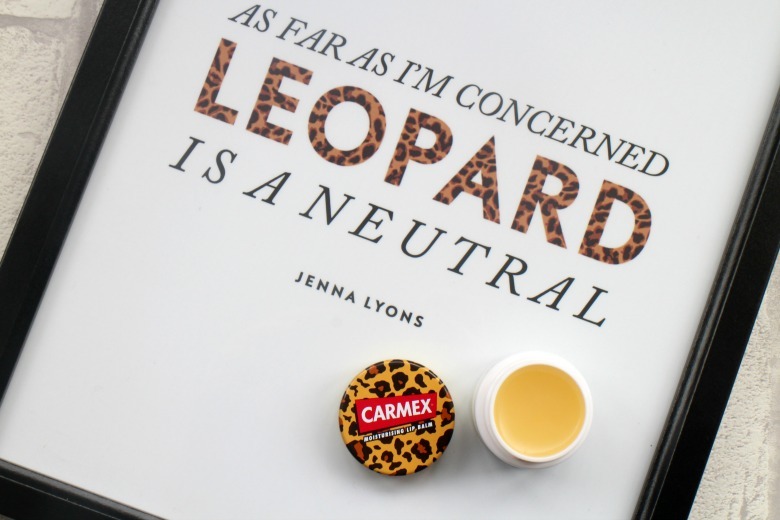 Carmex Classic Wild Pot* is exactly what it says on the tin, leopard print packaging and the Classic Carmex formula - perfect. Carmex always reminds me of my early trips to the US when my friends would stock up on this affordable balm. Carmex leaves a slight tingle but really will moisturise your lips better than many other lip balms I've tried, even those I've enjoyed. The only downside for me is I'm not a fan of products I have to dig my fingers into so I usually prefer the tubes. Interestingly whilst on holiday Ben pulled out a pot of Carmex (not the leopard I might add) and I asked if he liked it. 'I do' he said 'it works'... well you can't say any more than that.